MedicareHero.com respects each individual’s right to personal privacy. We will collect and use information through our Web site only in the ways disclosed in this statement. This statement applies solely to information collected at MedicareHero.com’s Web site. MedicareHero.com collects information through our Web site when you contact us using our online contact form and Attend A Seminar sign-up form. We collect the following information about visitors when they register: name, e-mail address, zip code and phone number. MedicareHero.com does not share this information with any other parties. MedicareHero.com does not actively market to children, and we never knowingly ask a child under 13 to divulge personal information. The information collected by MedicareHero.com will be used for fulfillment of your requests for service, to conduct research, and to make improvements to our services. The information we collect will not be used to create customer profiles based on browsing or purchasing history. We will not supplement information collected at our Web site with data from other sources. We may offer links to other Web sites. Please note: When you click on links to other Web sites, we encourage you to read their privacy policies. Their standards may differ from ours. 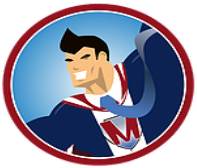 MedicareHero.com reserves the right to revise, amend, or modify this policy at any time and in any manner. Notice of any revision, amendment, or modification will be posted on the web site. If problems arise, users may contact MedicareHero.com by contacting our office: 1-888-321-6361.